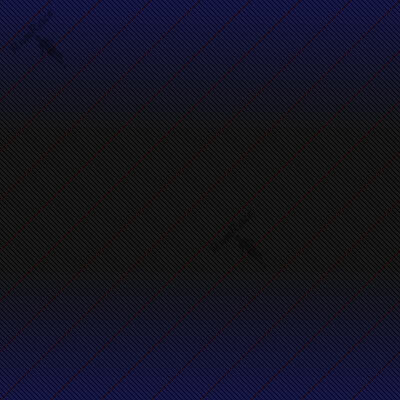 Earthbound Races in Unpaved Places! 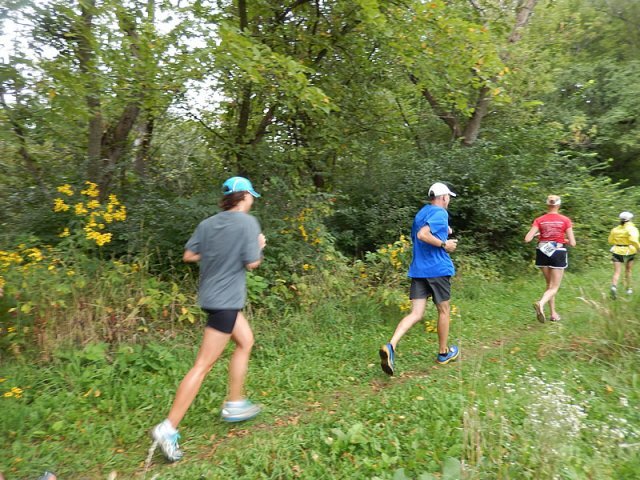 Our third annual Terra Sans Pave trail runs took place Saturday September 10th, with a return to the inaugural setting of Linne Woods forest preserve in Morton Grove, Illinois. 54 intrepid trail runners toed the starting line... 12 long distance runners pioneered our Terathlon 8-Hour Run, 19 raced our Big Lizard 10-Mile, 12 went for Terra 8-Km, while 11 opted for our 1-lap tour of Terra 4-Km. 7:30 am race time official weather statistics: temperature of 66.9°F, with a dew point of 64.9°F, 93% humidity, overcast skies, wind WSW at 10.4 mph. Drizzle and light showers would punctuate the morning hours, but no significant rain fell. Our course was mostly dry and runnable with a few moderate jump-over puddles, and some soft-muddy sections along the river bank. At 7:35 am CDT Terathlon 8-Hour runners began repeating laps of our 2½-mile racecourse. Their mission... cover as much distance as possible in the span of eight hours. They could continue running along the 2½-mile "Big Loop," then as the eight hours ticked down, switch to our quarter-mile "Little Loop," and continue right up to the 3:35 pm air-horn signal. Meanwhile traditional-distance runners arrived for check-in and their race start. At 9:08 am an air-horn blast by race official, Paul Hendrickson signaled the start of events, Big Lizard 10-Mile, Terra 8-Km, and Terra 4-Km. Soon the entire racecourse was populated with Terra Sans Pave runners... a wonderful long line of distance-running trail lizards! 11:00 am... as Terathletes pursued evermore mileage, and traditional distance events were finishing, a feast of bbq brisket, salads, and home-brewed beer was served by Terra running vets Tom Kohler, Patti Downey, Adam Zamora, and Mike Grabowski. Year-specific pins were earned by all finishers and medals of gold, silver, and bronze were awarded to top runners. Post-race barbeque: Tom Kohler, Patti Downey, Adam Zamora, Mike Grabowski... members of the adventure-seeking charitable group, Team Proof Positive! Start / Finish line set up: Mike Vlasak, Paul Hendrickson, Ian Stevens, Stuart Gootnick, Tom Kohler, Adam Zamora. Course centurions and marshaling: Kathleen Downey, Lily, Stuart Gootnick. Official Race Starter: Paul Hendrickson. Photography: Michelle Thom, Bill Thom. The photos (below) have been optimized for web-display... if you'd like a "high-resolution" original (suitable for printing) contact me and I will email you with the original digital image... be sure to specify which photo(s) you'd like. Congratulations to all who participated in the Third Annual Terra Sans Pave! Happy trails with successful running & racing this fall and beyond! This was my first trail race and it was so much fun! Can't wait til next year! Great event!